Researchers measured the students' reading speed with a stop watch. They then gauged their reading comprehension with multiple choice questions about the text. On traditional paper, the text was presented using 14-point Times Roman font with 1-inch margins. Students read from the paper under light conditions that were consistent with a classroom setting. The reading material on the iPod used a 42-point Times Roman font. That made the lines they read short, with about three or four words per line. The background was black, and the font was white. Most students consistently read faster and remembered more using the iPod. Researchers attributed this to the fewer words per line on each page. For example, one sub-group of dyslexics who benefited from the e-reader had what’s called low VA Span Scores. A low VA Span Score means the reader’s attention can’t keep up with the speed that their eyes are moving along the text. Text on paper is usually formatted to be maximally efficient, according to the study - i.e. book publishers put as many words on one line as they think typical readers can handle. "Efficient readers are able to accurately control the dynamics of their gaze and make use of the long lines of text," the study authors write. Not all dyslexia is the same. While researchers found the e-reader helped most dyslexic students, not all benefited from the electronic device. For instance, dyslexics who had a high VA span actually did better reading with traditional paper. The study suggests that an assessment tool to determine what kind of dyslexia the student has would be helpful for teachers or parents, Thompson says. Knowing the type would help identify what kind of device would best fit that child’s reading skills. I have dyslexia, and I can tell you for a fact that I don't mind reading on my smart phone, and I HATE reading a paper or book. It burns a tremendous amount of energy to read. My wife will open a book and read for hours, I open a book and I'm exhausted after reading a few pages. I can open my phone and read the paper or CNN without a problem. I never really understood why (I never gave it much thought) I could read better on my phone...I think it is totally because there's less words per line! By the way, dyslexia is not a handicap, its an advantage that we have because we tend to see things that others can't. You're right, it's not a disability, however the label is absolutely necessary to get the help that is needed in the school systems. My son(9yrs) was diagnosed dyslexic two years ago...which, by the way, was requested by the school. The same school later wouldn't qualify him for intervention type help because he would test too high in other areas. I wanted to scream, "dyslexic does not equal stupid!" We have since left that school district and are at a good district that is very proactive in helping him. I'm considering sending this article and seeing how we can work with it. This really makes sense even with people who have short attention spans. The experiment is flawed; read below. There is a huge flaw with the experimental design; one or more confounding variables. Most educated people know that typically in a controlled experiment, like a drug study, only ONE variable should be altered between the control and experimental group. In other words, the information on paper should have been the same font size as the ipod. The only difference would than be the resource (paper vs. ipod) containing the same information and same format. If they were testing to see if FONT SIZE matters, then have the reading material with two different font sizes, but keep the resource the same (either paper OR ipod). Thus, the results are most likely invalid. Generations people growing up being told they were stupid, not because what they know, but because they just had a hard time with the media. 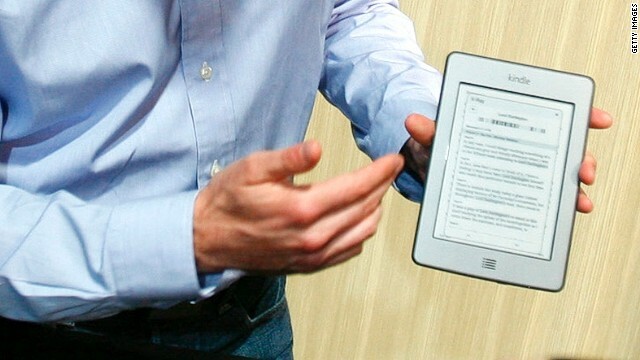 Why don't the e-readers just reverse all of the letters ahead of time for dyslexics? 1. The tilt angle of the reading material that influences the glare and stress; using a tilt frame to hold material at the same angle for all participants..
2. The reading distance that is an individual variable. 4. Convergence distance that takes into account suppression resulting from inability to fuse images from each eye. 7. Angle of reading favoring the reading eye when one eye reads better than the other. 8. Near point acuity status with optimal correction when necessary. 9. Status of the STNR maturity (symmetrical Tonic Neck Reflex). 10. Empirical determination of best background color for reading material for both paper and electronic device..
11. Appropriate reading level and complexity relative to personal ability. 12. Evaluation of width/diameter of central field perception. These variables are a start. Accommodating reading problems is a process of individualizing and following every possible source of impact for discomfore/inability/immaturity. nice to see new practical applications ereaders. At http://comprarebookhoy.com/ you may see more info and news about ebooks and these topics.